Coming up from Waterfront Metro. 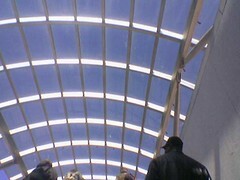 A bright blue sky shines down from above the escalator canopy. I don’t remember the canopy being so clear.